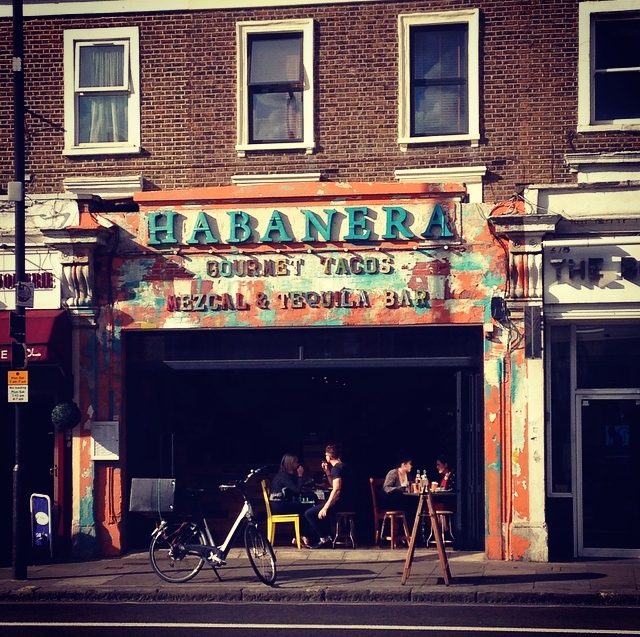 Habanera is a lively tequila and taco bar in SheBu, the locals’ nickname for the up and coming Shepherds Bush. From its artistic murals to the exposed brick walls, Habanera seems like it’s in the middle of the East End but thankfully, this gem is in the heart of West London. On the bustling Uxbridge Road sits a rustic restaurant whose colourful façade draws you right in. I decided to give Habanera a go on a sunny summer evening, still baking after the 29 degree weather during the day. Everyone was out in London; the carnival atmosphere had come early. I was taking a friend out for a birthday treat after months of having been apart. Usually, I’d choose to eat at one of my trusted favourites. This time, however, I thought I’d try something new and so took the risk of dining at Habanera despite never having been before. And the risk paid off! Not only was it a great evening filled with delicately crafted cocktails, several plates of truly authentic Mexican cuisine and great service from the staff but it has also joined my coveted list of favourite restaurants. The place was buzzing. Good thing I booked too – Obviously I’m not the only one who rants and raves about this eatery. It is amazingly well established given that it has only been open for just over a year. It comes as no surprise that Habanera was awarded Mexican Restaurant of the year by the 2015 LUKAS Latin UK awards. Habanera’s cocktails are awesome. It’s nice to see a restaurant play around with classics and create a fusion of flavours. For birthday drinks, we each ordered a Raspberry and White Peach Bellini and a Classic Margarita. The Bellini was a delicious aperitif while the fiery Margarita, lined with chilli salt, was a perfect pairing to the spicy dishes. Habanera’s menu is inventive, varied and ridiculously yummy so instead of ordering a main meal each, get a few different plates and share them tapas-style. We went for two kinds of soft corn tacos, which are presented beautifully on a wavy plate, making them a delight for the eye as well as the tummy. 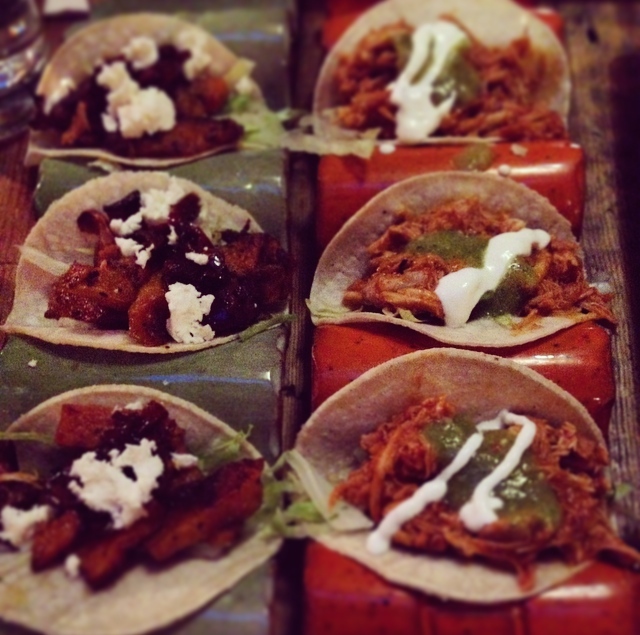 Chicken Tinga was my favourite, with a dash of avocado and sour cream complimenting the shredded chicken, while the caramelised onion in the Butternut Squash tacos made them worth remembering. 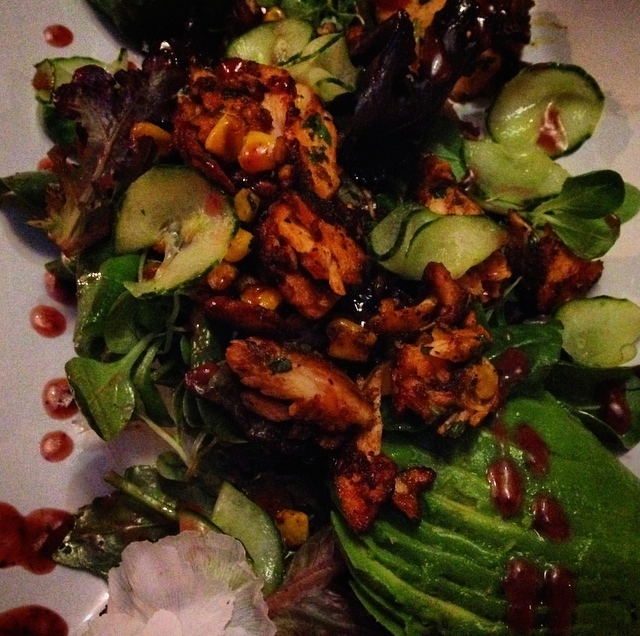 We loved the sound of the Blackened Salmon Salad and were not disappointed. The charred salmon was perfectly cooked and flaked on a bed of juicy avocado, leaves and crunchy corn. And don’t miss out on the Sweet Potato Fries, which were sweet, satisfying, and a decent portion at that. 280 Uxbridge Road, W12 7JA.